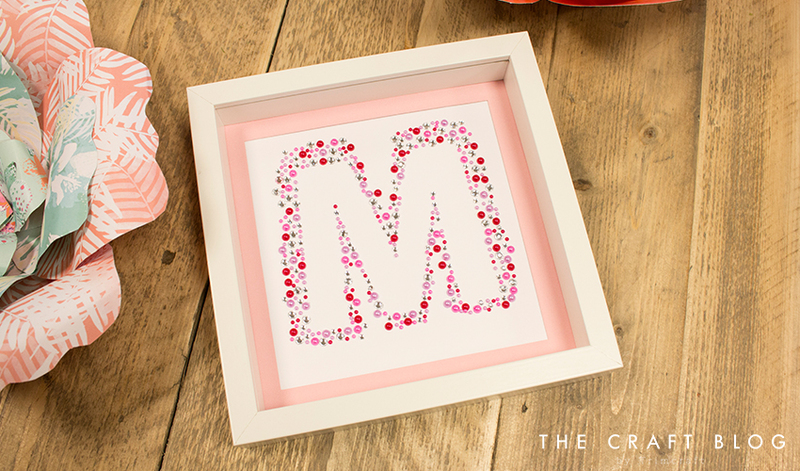 Remind your mum that she’s a gem this Mother’s day with this sparkly monogram frame! This craft will be super easy to make and it will really put the twinkle in her eye when she opens her special gift. 1. Print the free template and cut it out. Place the ‘M’ template in the centre of your A4 Dovecraft White Card sheet. To keep it secure in one place, add a few strips of Washi Tape to the back of the template. TIP - As you want this project to last a long time, I would suggest using a glue to adhere the gems. When you are happy with the shape, remove the template. 3. Cut a piece of First Edition Textured Card Stock down to fit your 8x8 frame. On the reverse, measure and draw a 2cm border. Cut out the centre to make a frame. 4. 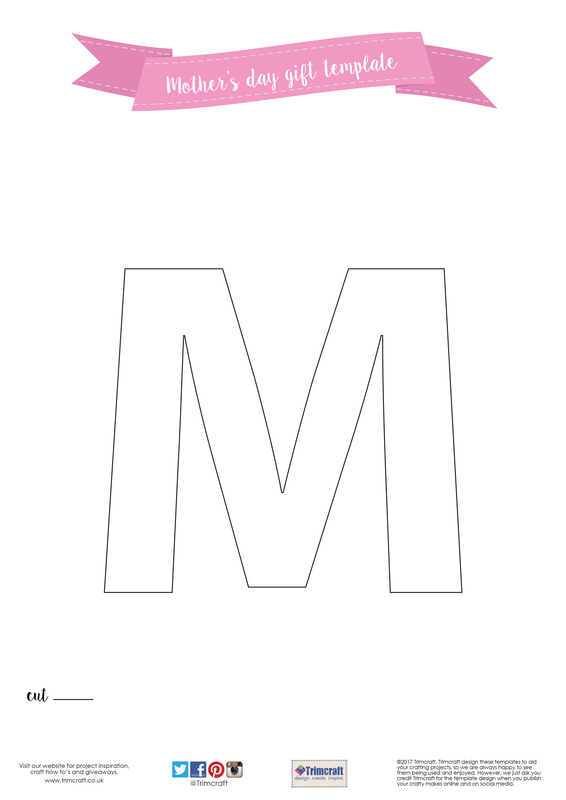 Adhere the M to the back of your card frame. With Dovecraft Perma Fix tape, stick your project to the back of your frame. How pretty is this monogram frame?! The mix of Simply Creative Gems and Pearls really makes this an eye catching piece. You could even create your own monogram template by cutting out the first letter of your mum’s name and decorating it! How will you use our free monogram template? We would love to see so don’t forget to share your makes in the inspiration area and to #trimcraft when uploading to social media.